« Nostalgia Front Engine Dragster! 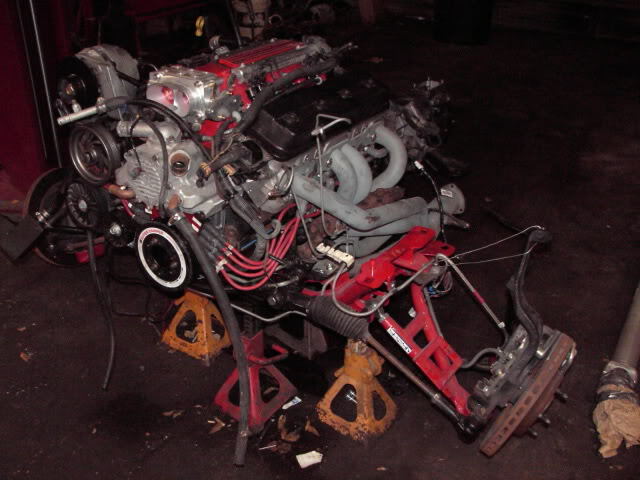 This is the motor we put in the 97 Camaro above. The LT-1 was ditched in favor of the LT-4 we built. Probe SRS pistons, ported LT-4 heads, 4 bolt LT-4 block, custom grind Comp cam and springs, 36 pound injectors, LT-4 intake, Holley throttle body, ATI balancer. Rotating assembly was balanced.